Are property values going up or down? Is it a Buyer’s or Seller’s Market? The number of total sales over the past twelve months is down significantly compared to the twelve months prior 138 vs 100. The median days on market have increased significantly over last year 85 vs 108. 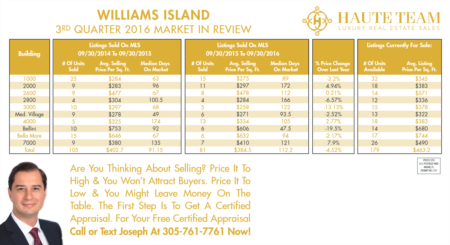 The average selling price has decreased significantly in some buildings, with the biggest drop being in the 2800 Building on Williams Island, -8.7%. 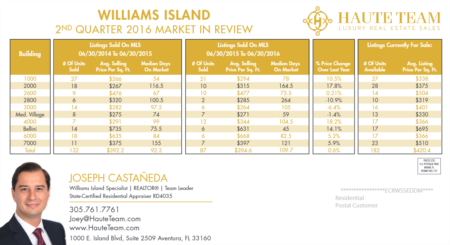 However overall we have seen an increase of 10.4% in property values. 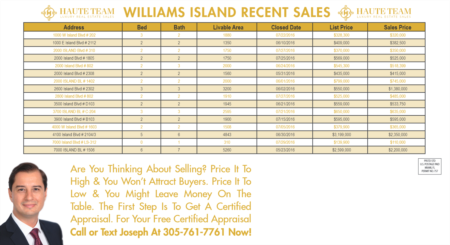 There is currently a 26.52 month supply of available homes for sale on Williams Island. This is called the absorption rate. It is calculated by taking the total number of closed sales from the past twelve months and dividing it by twelve months 100/12=8.33 Sales per month. 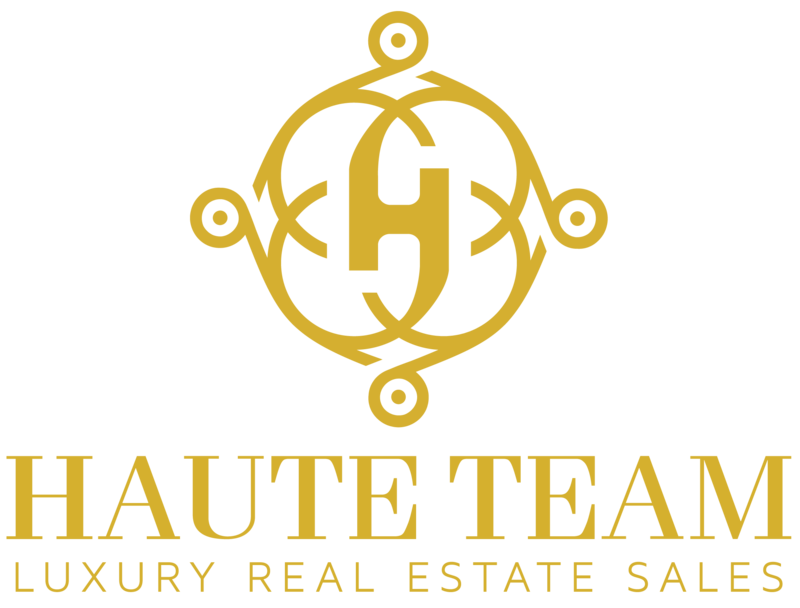 Then taking the total number of active listings and dividing that number by 8.33 sales per month 160/8.33=19.21 months of supply. The data is overwhelmingly telling us that property values are heading into a declining trend and that it is a Buyer’s market.